The Roman Wall Forge founded by Harry Amos in 1886 and run by four generations of the family has finally closed because of falling business. The forge was currently run by the brothers Charlton and Ridley Amos, aged 65 and 63, who say that work had dried up in the last few years. At its peak, the forge employed 24 people and undertook large and complex projects. “Even in recent times, Amos Bros did work on the Tyneside Metro system, the Metrocentre, Kielder Reservoir and, 10 years ago, the wrought-ironwork at Alnwick Garden,” said Ridley. “We are saddened – Charlton and I are ready to retire but Charlton’s son Michael would have taken over the business and carried it into the fifth generation of the Amos family. Entrance gates to Poison Garden, Alnwick Gardens. Photo by Humphrey Bolton (2010). Entrance gates to Poison Garden, Alnwick Gardens. Photo by Ian Cardinal (2009). 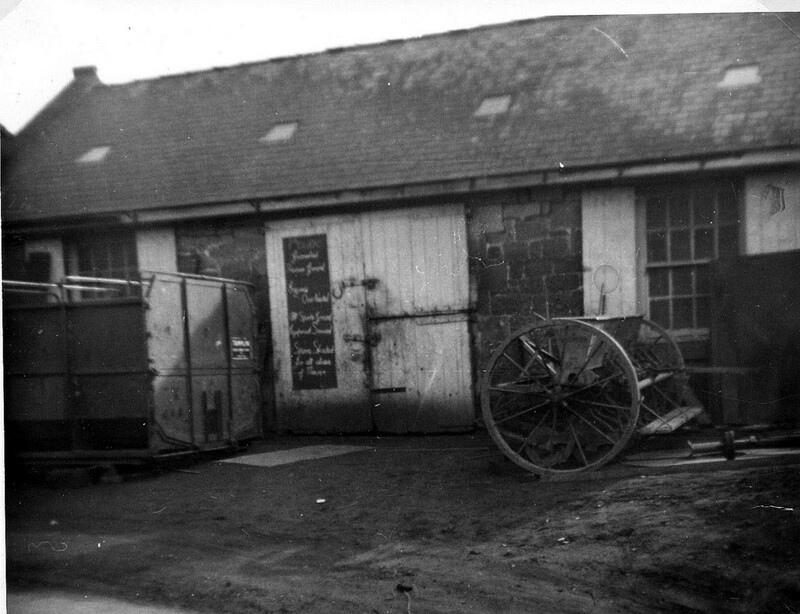 The single-storey smithy next door to the Swan Inn on Towne Gate was the original forge used by the Amos family until they moved to new premises north-east of the Library in 1971. The floor of the old forge was originally the sandstone rock which here outcrops at the surface and is visible in front of the building. Outside, set in the ground, is a large circular metal plate used by the blacksmiths to fit the metal outer hoops to the wheels of horse-drawn coaches and carts. The forge became incorporated into the restaurant of the Swan, with period features including farm implements and a large log-burning fireplace. See the article here. Amos smithy before it was incorporated into the Swan c1970. The Swan showing the old smithy to the right, now part of the pub restaurant. Photo A Curtis (2003). Former smithy now part of The Swan. Photo A Curtis (2011). The forge situated above the library – valued at £300,000 – has been sold to a young professional couple who now plan to demolish it and build a private home in its place. See the full article including many photos on the Journal Live website. When a business closes, it’s always sad news, particularly in a small rural area. But when that business exemplifies traditional skills, and has been going for more than a century, the loss is felt all the more deeply. 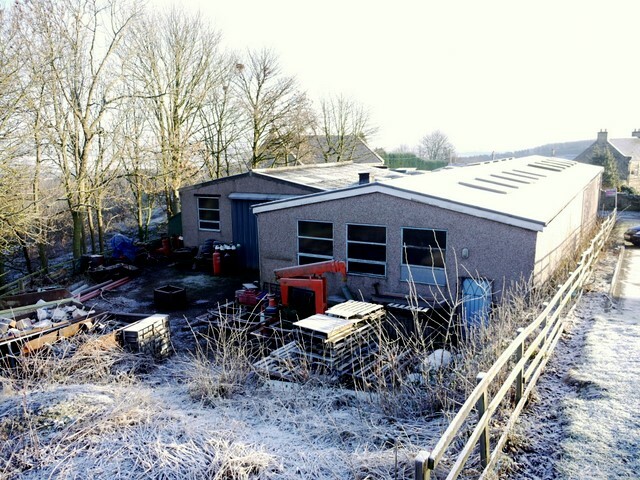 The Roman Wall Forge in Heddon-on-the-Wall has been passed through several generations of the Amos family, at one point employing 24 people and leading high profile jobs throughout the region. Sadly, though, the forge has become another victim of the recession, and brothers Charlton and Ridley Amos felt they had no choice but to call it a day. The business was established around 1880 by the brothers’ grandfather, Henry Stephenson Amos, and started its life at The Swan pub. 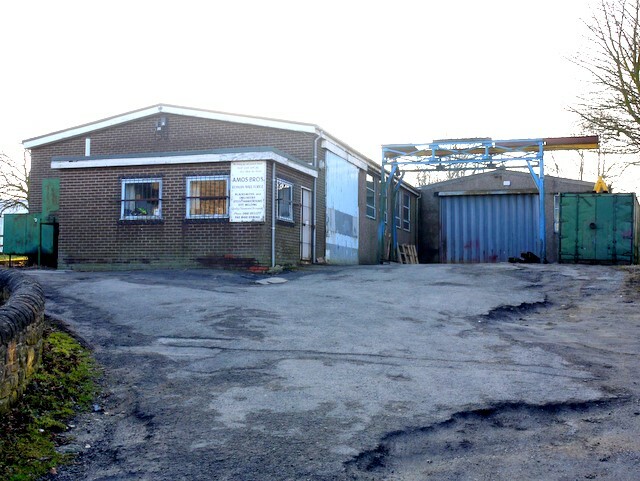 Henry’s son, Charlton, then took over before handing over the reins to his sons, Charlton and Ridley, in 1971, around the time the forge was moved to its current site, behind the village school. It wasn’t just farmers, though, who provided substantial work to the brothers. The Duchess of Northumberland, no less, was among those to get in touch, when the gates at the Alnwick Garden needed fixing after someone drove a car into them. Ridley later wrote to her to see if any further work was required and, knowing the standard of the Amos brothers’ work, she asked them to design and produce the gates to the Poison Garden. While the 70s brought their rewards, however, the 80s were the golden age for the business. It was then that the brothers were involved in everything from the construction of the MetroCentre in Gateshead to the Kielder Reservoir and the Tyneside Metro system. The business also led the construction and renovation of bridges around the city, including the Redheugh Bridge. Indeed, around three years ago, the big jobs came to a sudden stop, with requests from the general public – gates and railings mainly – becoming “few and far between”. Ridley and Charlton, who employed two other people, had been through recessions in the past and were hopeful of things picking up – but alas this didn’t happen. The brothers – Ridley is 63 and Charlton 65 – would have been thinking about retirement soon anyway, and are happy to take it easy and immerse themselves in new hobbies. Their sons, Craig and Michael respectively, however, will now have to find new paths for themselves, rather than enter into the family business. The Roman Wall Forge, so well known and respected in Heddon, has been sold to a young professional couple, who plan to demolish it and build a home in its place. The machinery that has served both the local community and the wider region so well was put up for auction, with those technologically advanced farmers snapping up most of it. It’s a sad tale, but one that’s becoming increasing common for small blacksmiths throughout Britain, according to Ridley.